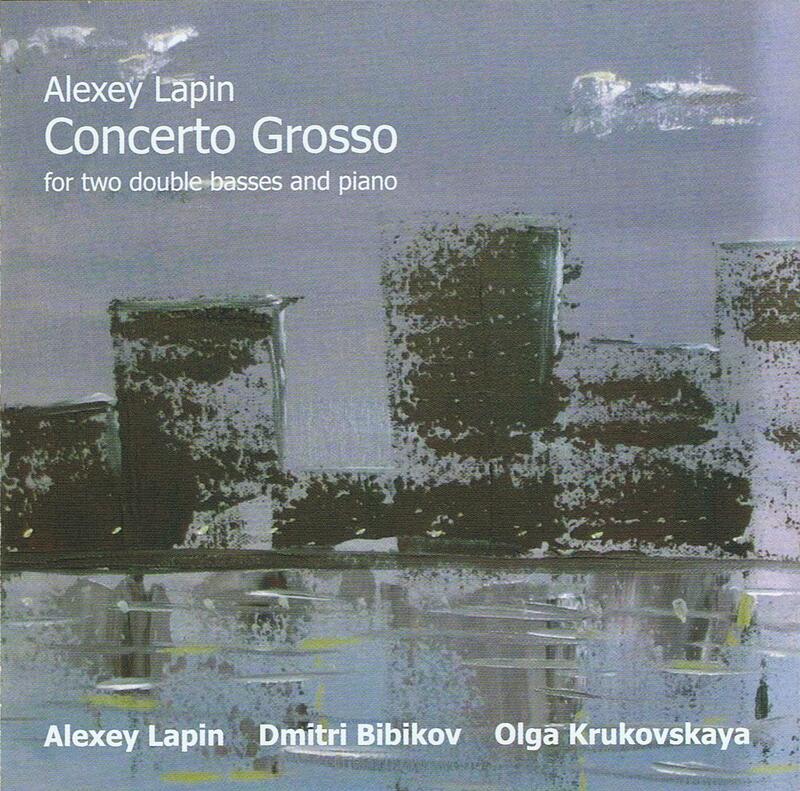 As written in earlier reviews, Russian pianist Alexey Lapin has this knack for musicality in whatever he does, even if he goes beyond the traditional boundaries of his instrument. On this live performance, recorded a year ago in Saint-Petersburg, Russia, he is joined by Dmitry Bibikov and Olga Krukovskaya, both on double bass, or double double bass if you want. 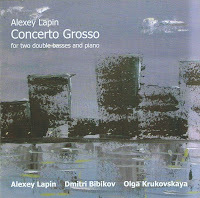 The title, "Concerto Grosso", referring to the alternation of various soloists performing a suite and supported by an orchestra, may give the impression that the music here is composed, which is not the case. As Lapin explains "the overall plan of the musical composition and its conception were not determined formally by any known means. In other words, the structure, stylistic direction, character and form were not discussed in advance. We just talked a bit half an hour before the concert started. But this does not mean that the music flowed spontaneously, or that the form was created in a random manner during the development of the music". This enigmatic description is also revelatory for the music. It is indeed suite-like, with six pieces flowing coherently into one another. Lapin is a lyricist of the extended techniques, and Bibikov and Krukovskaya communicate well in the same idiom. An open, fragmented and dark atmosphere is created, in which sounds well up from the soil or appear as shimmering images in the mist. It is equally intimate, close to you, both physically and in (relative) accessibility, despite the lack of repeated patterns and recognisable forms. The trio manages to create interesting interactions, and developments within strict confines. They do not explore wide spaces, they stay close to tonal centers and small figures, testing reactions with different approaches of bowed and plucked and hammered and scraped strings, with all three instruments becoming percussive and voiced, never moving far away from each other, in a strange and dark dance on a square meter, revolving around each other, touching in a very physical and sensitive way and conjuring up these images of tension and release (Part I) or harsh mystery (Part II) or uncanny eeriness (Part III) or sheer beauty (Part IV) or unexpected abundance (Part V) or strange struggle (Part VI). I may even be totally wrong by qualifying these parts as such, because the wealth of sounds of course exceeds these few words. Highly recommended for those with open ears.